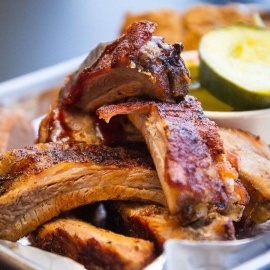 Chef John Bell serves up his take on BBQ and Southern favorites! We have over 20 homemade sides to pair with our smoked meats, extensive options for our Gluten-Free friends, and our signature Sweet Jar desserts (which have to be tasted to be believed). 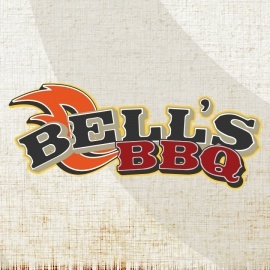 Dine-in, call us for take out, or go to www.bellsbbq.com to place an order with one of our delivery services! From our family to yours, we hope you enjoy your meal!